Handstripping is the correct way to groom all harsh coated terriers, springer spaniels, cockers, setters, and other wirehaired breeds and mixes. Jennifer of Paws At Your Door Mobile Grooming is one of the few stylists that offers this specialized, highly technical service. 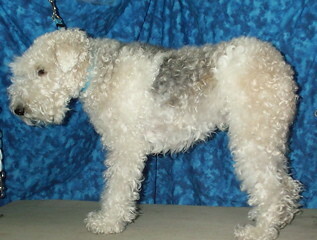 It is pulling the dead hairs out from the root, so that new, vibrant, healthy coat can come in. Sounds mean? It would be on a poodle. 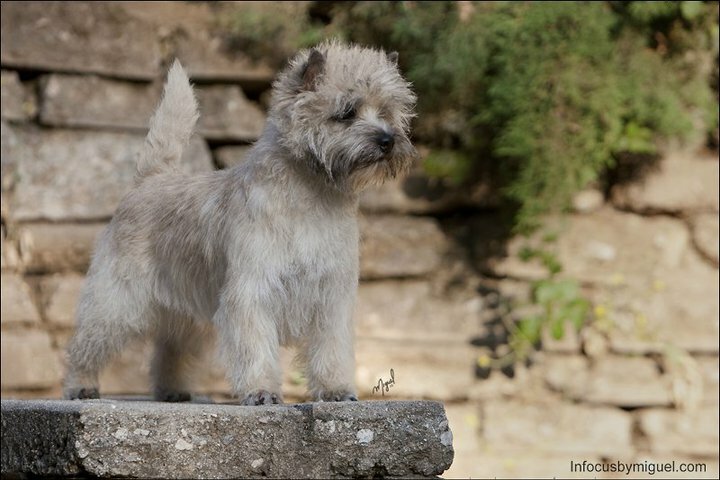 But your cairn terrier's coat is designed to fall out easily once it ready in just this fashion! Clipping just cuts the hair off above the follice. At one time, dogs' harsh coats were removed by brairs and grass as they hunted fields and farmyards. Today, our pampered pets reside on the couch and their hair must be removed for them. A healthier skin and coat, without clogged follices. 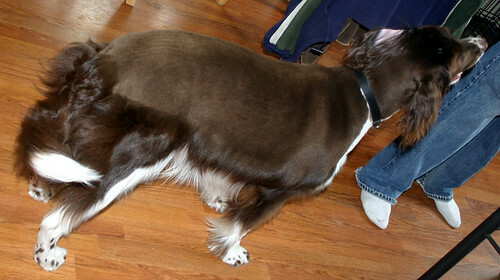 Cutting with a clipper can cause skin problems in most terriers. You must keep it up either at home/ or with the groomer at least every 2 weeks or the dog will have to be stripped very close at least 4 times per year. Spaniels can go longer between grooms. Notice how flat the hair lies despite being 1-3 inches long, the vibrant colors, and correct "show" look. All groomed by Jennifer.